We offer SPRAT training courses for SPRAT level 1, level 2, and level 3. As well as direct entry and conversion options. Our head office and training center is in Vancouver, BC! If you're thinking about training with us, check out our SPRAT training program below. There are three levels of SPRAT certification. Hover over the photos below to see which one is applicable to you. SPRAT L1 is intended for anyone who has no previous Industrial Rope Access experience and needs to work at height on an industrial 2 rope system. Upon successful completion, you will be able to practice Rope Access under a Rope Access Supervisor for companies who adhere to SPRAT practices. You'll need to be at least 18 years of age and be able to provide government ID or passport details. You have good strength‐to‐weight ratio and average to good cardio fitness level. Healthy joints and full‐function of extremities (especially hands). SPRAT L2 certification is intended for anyone who has completed their L1 and meets the SPRAT L2 prerequisite requirements. 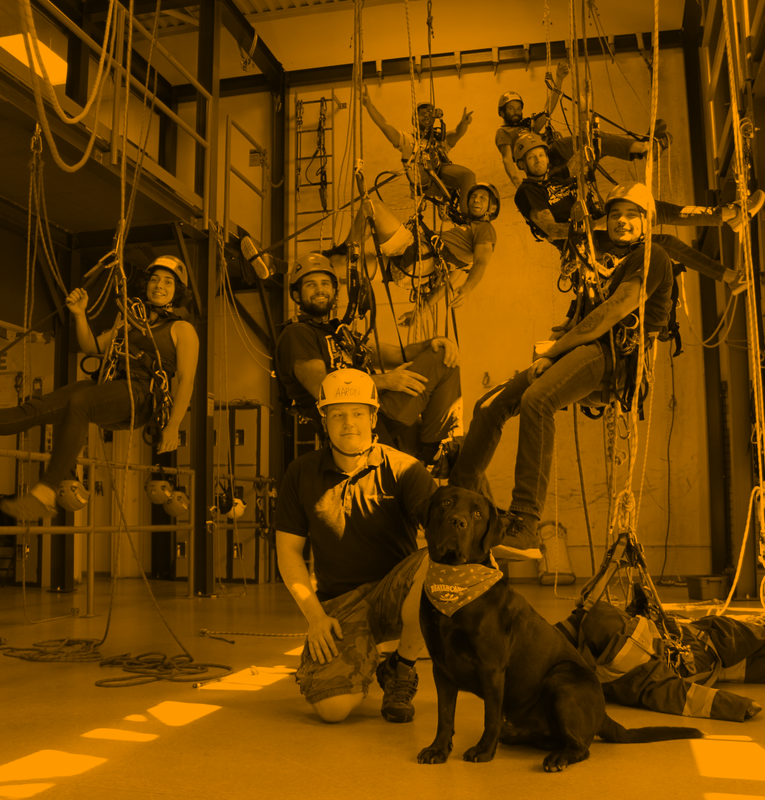 The L2 course goes beyond the basics and focuses on advanced rigging and rescue techniques developed to achieve more complex access solutions. One and two person rescues will be emphasized. SPRAT L3 is intended for anyone who is required or interested in supervising a team of Rope Access technicians on a job site. This course will prepare applicants to lead their teams through complex and advanced rigging and rescue scenarios while emphasizing the need for excellent leadership skills, paperwork, and job site management. We have multiple dates each month. Click below to find the ones that suit your schedule the best. Full access to our Student Resources including PacRopes training manuals, videos, tips and tricks, SPRAT resources and more! We put the work in to make sure you receive the best training even after your course. Students receive special discounts at our Equipment Shop. Receive monthly emails highlighting jobs to apply for, training info for continuous education, and stories of other techs in the rope access community! These emails aim to help you be the most connected and successful rope tech you can be. Meet our Instructors who have dedicated their careers to training! Our training team is just as diverse as your learning styles. Friendly and fun atmosphere. Check out our photos below! Need more training? All our students receive the opportunity to come back as PacRopes Training Partners. You get to help a fellow rope tech while receiving free training at the same time. 10% off Fuggles and Warlock beer for Pacific Ropes students in Vancouver!!! Fuggles is our neighborhood brewery! Check out their website for the full line of their awesome and quirky beers! We love going there after a long day of training or to celebrate an evaluation. Big thanks to the staff/team at Pacific Ropes. The office admin made everything seem less and were very helpful with questions and concerns. The training provided by Don and Josh was legendary. They made it fun and made sure we learned proper efficient technique and challenged us throughout the week. I would recommend taking the course here and will be coming back for course refreshers or recertifications. I won’t be looking to go anywhere else now that I have found these guys. Pacific Ropes feels like a home away from home now! Pick Dates and Register Here!